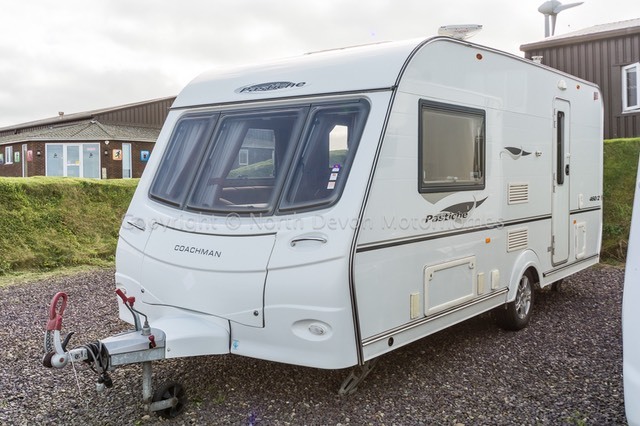 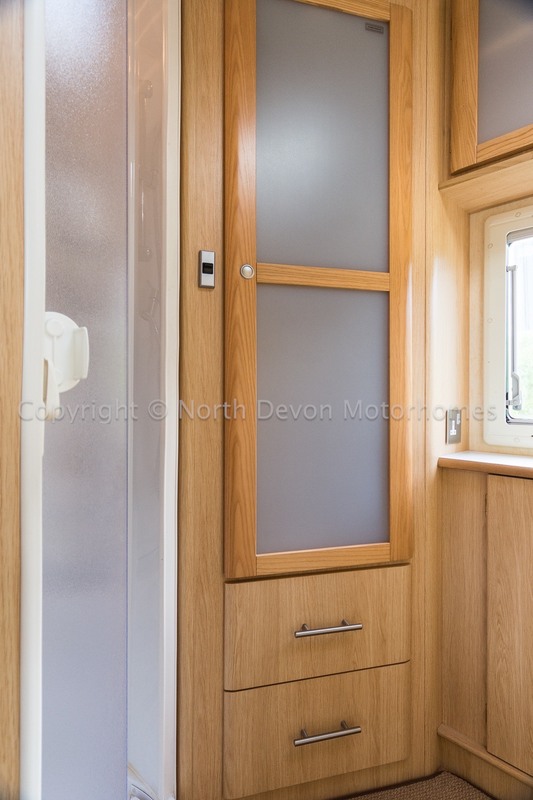 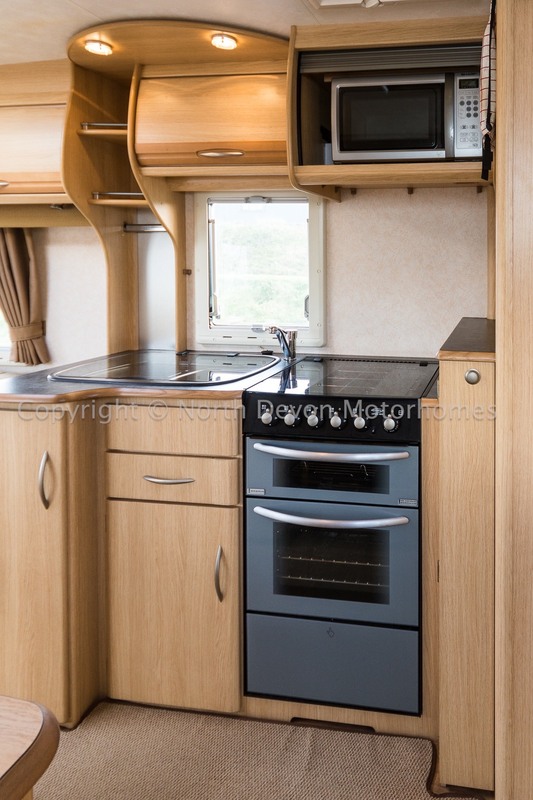 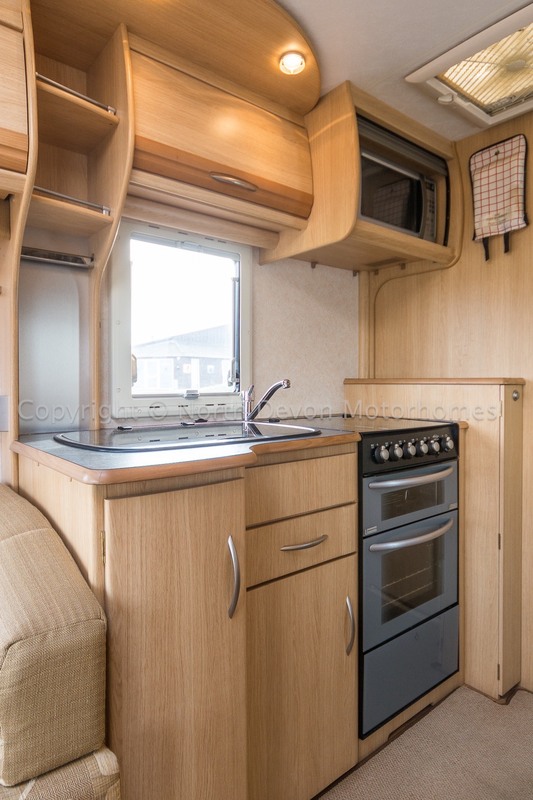 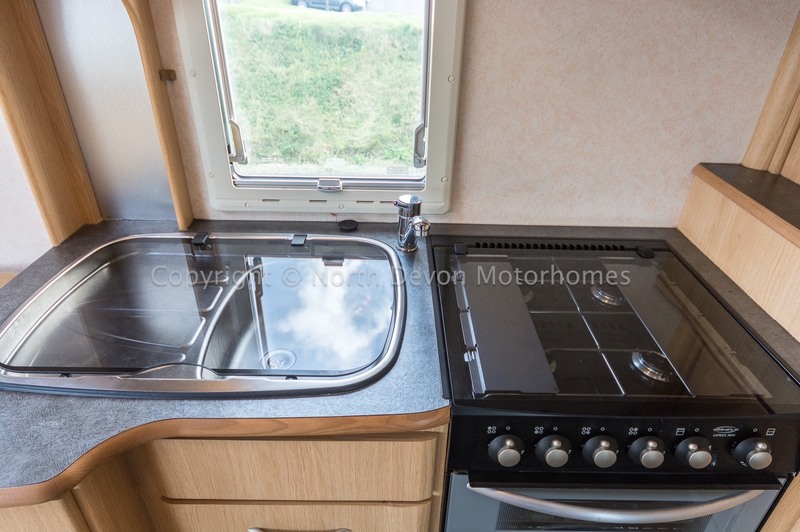 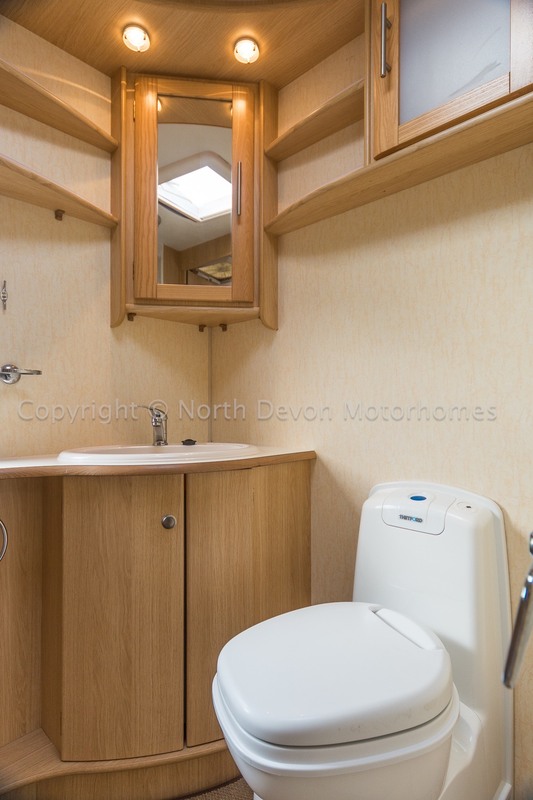 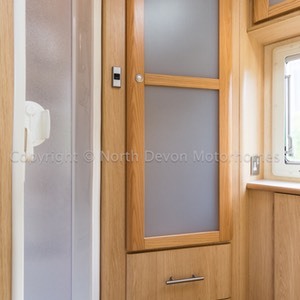 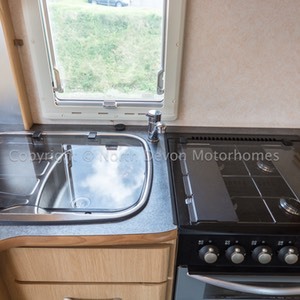 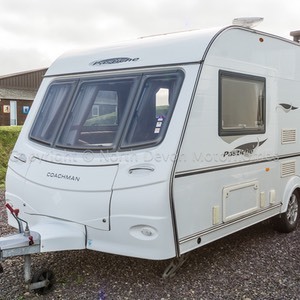 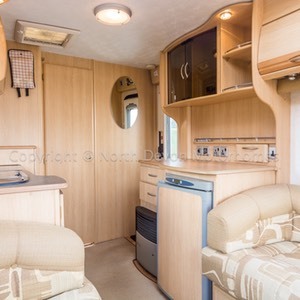 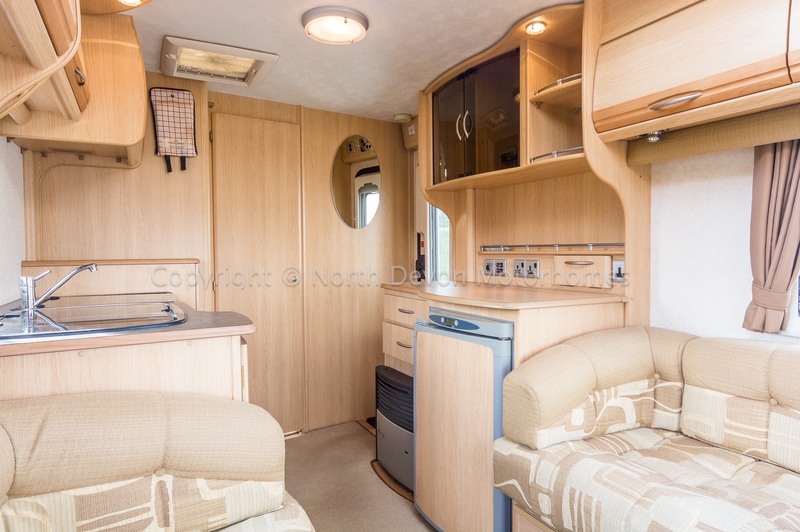 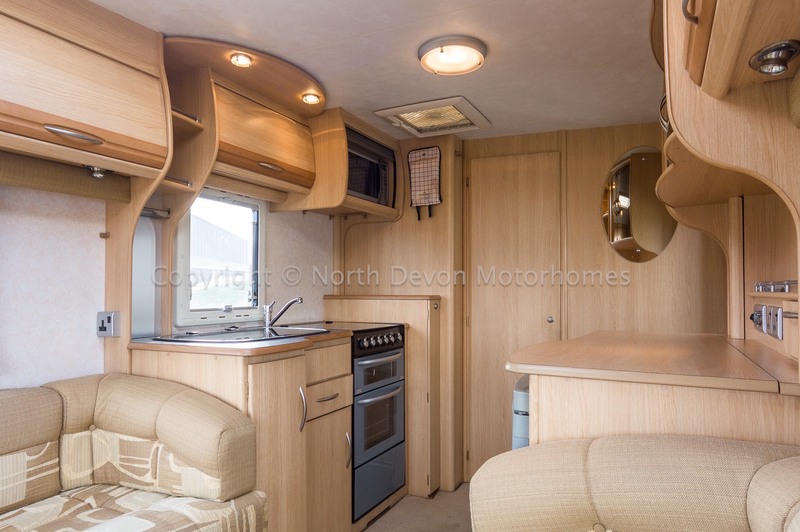 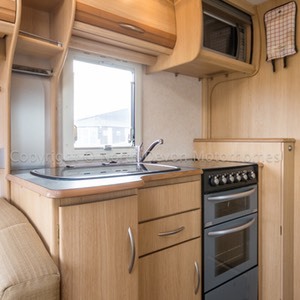 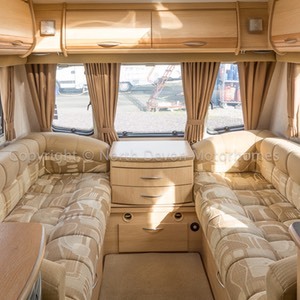 Coachman Pastiche 460/2, 2008, Large luxury two berth touring caravan, Front lounge, Centre kitchen, End washroom. 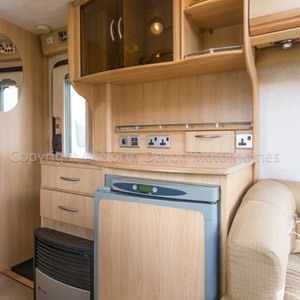 Amazing build quality, Bright and airy well equiped interior, complete with motor mover, gas bottle and hook-up lead. 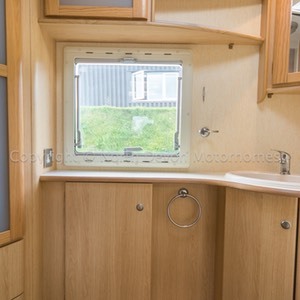 Cracking van, a real must see. 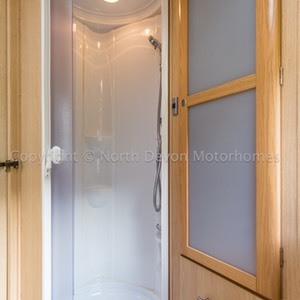 Large rear washroom with separate shower, central kitchen with plenty of storage and front lounge bedroom. 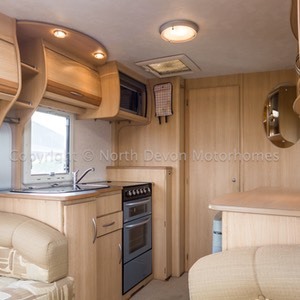 Two long opposing bench seats, surrounded by big windows, centre cabinet/table unit, heki roof light, fitted speakers, tv station area. 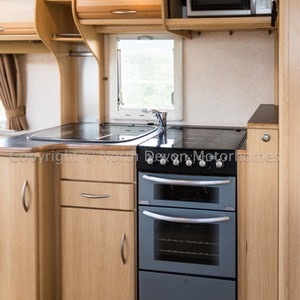 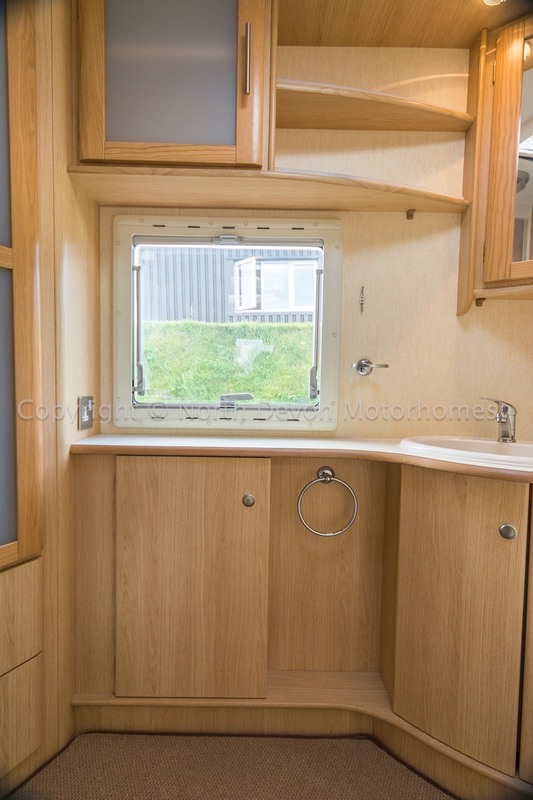 Sink and drainer, 3 way fridge, oven, grill, microwave, 4 burner gas hob, extractor fan skylight, cocktail cabinet, loads of high and low level storage. 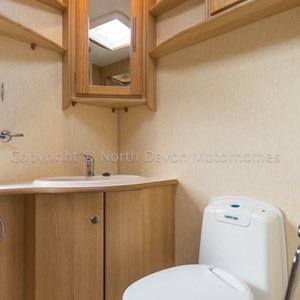 Corner sink with mirrored vanity unit, cabinets, cassette swivel toilet, separate shower unit, large wardrobe, skylight. 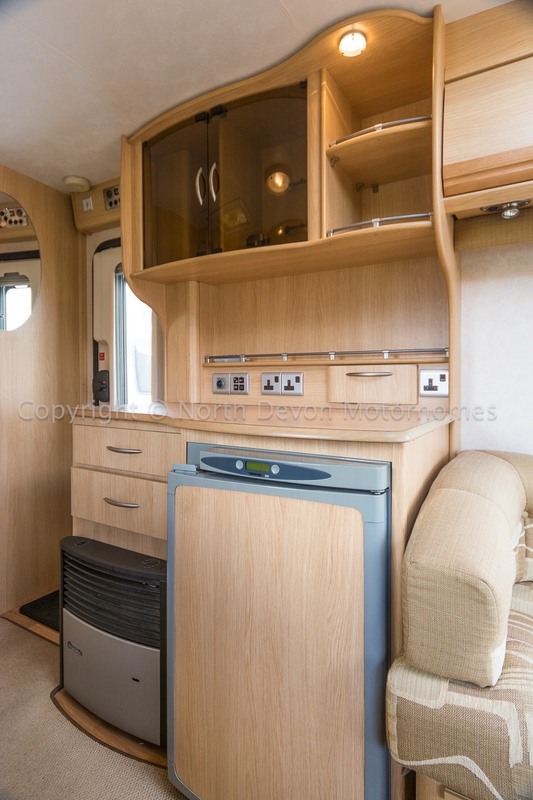 Truma Ultra Heat hot air heating. 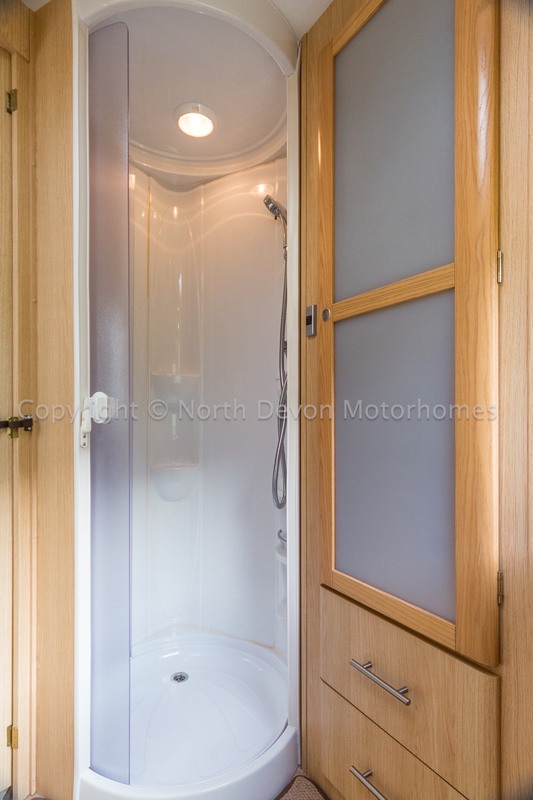 Truma Ultra Store hot water system. Fresh and waste water carriers, water pump, hook up lead, gas bottle with hose and regulator, stereo system with speakers, status tv aerial, motor mover. 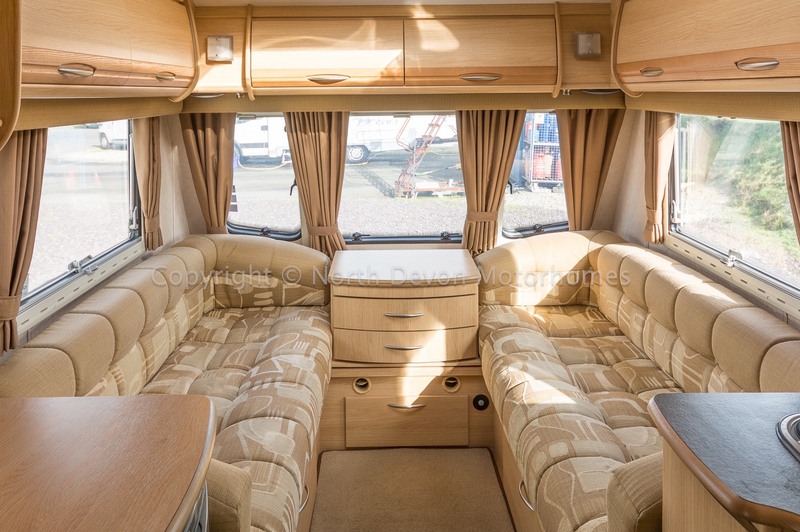 Price: £5,995 With Sensible Offers and Part Exchange Considered.